If you are reading this, you "survived" Christmas. I'm not being facetious. For many of you getting to the other side of Christmas is your main goal for December. The holiday holds difficult memories, or you belong to what you feel is one of America's premiere dysfunctional families. (My siblings and I claim that our family put the "fun" in dysfunctional). You spend the day or days with a family that argues, or you max out your credit cards trying to provide the perfect gifts for your loved ones. 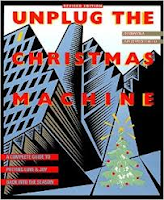 Years ago, while living in the Washington, DC area, I read Jo Robinson's book "Unplug the Christmas Machine." Originally published in 1991, since then it has had thirteen printings - thus indicating that people continue to search for ways to handle the holiday. I currently manage the front of house (read dining hall) for a boarding high school. The students leave for two weeks from the Saturday before Christmas to the Monday after New Years. In the past, I have spent the two weeks catching up on everything I didn't get done during the year: reports and year-end stuff at work as well as deep cleaning the house, sending out New Years cards because I don't have time to do Christmas cards, and the many other tasks that pile up. This year my husband and I swapped our timeshare for a condo on the Maine coast where we stayed for the week of Christmas. It is a lovely place overlooking the ocean in Wells, Maine. When we first decided to go away for Christmas I was overwhelmed with guilt. Was something wrong with us? Who goes away for the holiday without seeing family? Even as we were pulling out of the driveway I had second thoughts. It was dusk when we arrived at our destination. The sun was setting over the harbor, and the stars were beginning to dot the darkening sky. We checked in, and I was impressed to discover the front office would be closed for Christmas day. The resort was actually giving their employees the day off! If a company could "unplug" for Christmas, maybe I could, too. The following morning, after a restful night of ten hours of sleep (not sure the last time THAT happened), I awoke refreshed. The guilt was gone. Our remaining vacation days were a mixture of reading, writing, walking, playing games, watching football, and "lollygagging." I was blessed with the opportunity to get away. Perhaps you were not. Or perhaps, your Christmas was the stuff of nightmares and "made for TV movies." I urge you to take an hour to recover. It won't be enough, but it's a start. 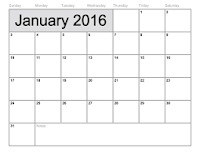 Get out your calendar, and schedule an appointment with yourself. Send the family out for dinner without you. Or go to your favorite spot in the house and lock to door. Post a do not disturb sign on the door and do something that revives and rejuvenates you. Read. Write a letter. Stare out the window. Breathe deeply. Listen to music. Drink a cup of your favorite tea or coffee. Pray. Repeat. Yep, that's right. Pull out your calendar again. Schedule another appointment with yourself. You won't believe the difference it makes. May you have a blessed 2016.